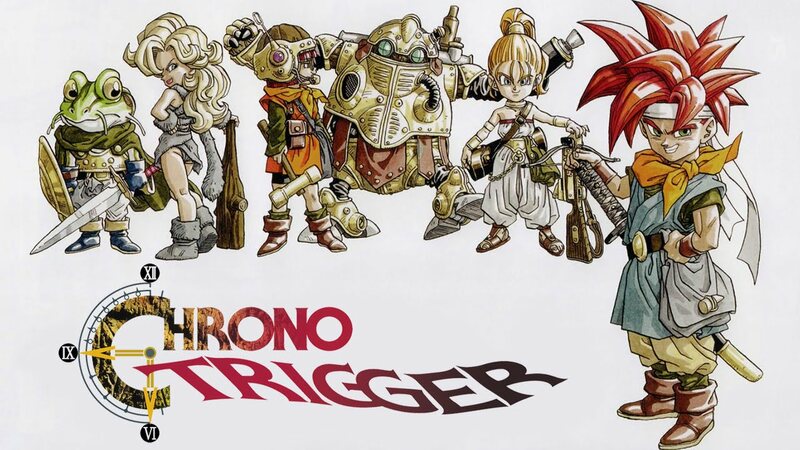 The 1995 classic Chrono Trigger has gone down in history as one of the greatest JRPGs to date. The magic of the wonderful story, the beautifully designed characters with their distinct personalities, and the clever use of time travel have woven together into the hearts of many. However, thanks to the previously mentioned time traveling, Crono and co. tend to be solving problems they unknowingly created. While the group may be saving the world, they also end up fixing problems that should never have happened in the first place. Before we continue, be warned, spoilers ahead. The first trip to the middle ages, shortly after the game begins, is the first instance in which the group strives to solve a problem that didn’t happen originally in the course of the unaltered history. By accidentally sending Marle — the princess of the current age — backwards in time, the group managed to have the search for the missing Queen of that period called off early. This was because, due to her identical appearance, she was mistaken as the Queen and escorted back to the Guardia Castle. 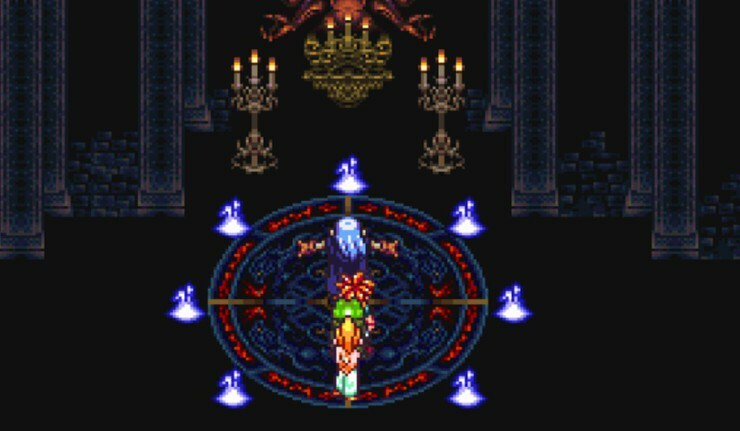 While this incident at first appears harmless, not long after the group finds her in the castle, Marle mysteriously disappears in front of Crono. Come to find out, the original timeline in which the Queen gets rescued never occurs, and the Queen gets murdered. This erases the present royal family from history, causing Marle, as well as any other descendants, to have never been born. Luckily, thanks to the help of both Lucca and Frog, Crono manages to not only find but also rescue the real Queen. This safely returns Marle into existence, but alters the history of who saved the Queen and how in the process. 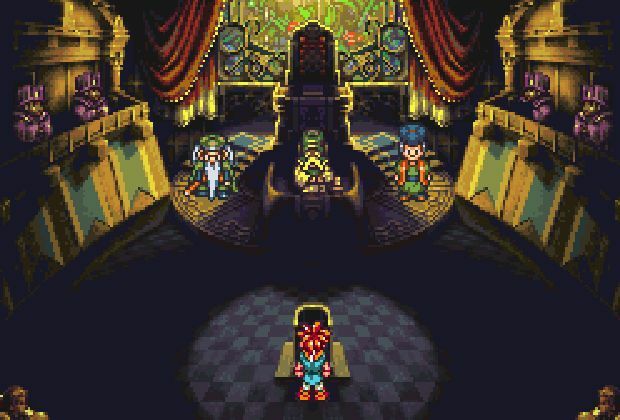 After returning to the present time, Crono is detained and put on trial for kidnapping Marle, escapes prison with the help of Lucca, and joins back up with Marle at the entrance to the castle. While being chased by the soldiers of Guardia Castle, the group happens upon another time gate, and, without much debate, jump right in as a way to escape the pursuers chasing them down. The time gate leads them to the future, where they meet up with Robo, and learn about the creature Lavos that destroyed the world in this age’s past and their own future. The current history at the time says that the powerful mage Magus from the middle ages is the reason he was summoned in the first place, and they head off in order to prevent this from happening. This brings us to the second trip into the middle ages, and the next mishap in their quest, or at least the start of it. Upon arriving back in the middle ages and meddling in a war they ended up winning for the Humans of that time, the group meets back up with Frog and helps him repair the sword needed to fight against Magus. To do this, they traveled back in time to the Prehistoric era to search for a rare red rock called Dreamstone. Turns out, the leader of the local tribe, Ayla, carries some around as a symbol of her being the strongest in the village. Ayla then throws a party for Crono and company, where she challenges Crono to a soup drinking battle. She declares the winner of the contest will get to keep the Dreamstone. Of course, Crono wins and the party continues on until the screen blacks out and everyone wakes up like they drank too much “soup” that night. The group discovers that the Dreamstone and the gate key they need to travel through time have been stolen by a member of the tribe named Kino. After you find Kino he apologizes and tells you the items are now in the hands of the Reptites, a race of humanoid lizards trying to take out the tribes of humans. The heroes journey into the lair of the Reptites and recover their items, while angering the leader of the Reptites, Azala, more than ever in the process. This would be mistake number two, as he now vows to take out the human in revenge. Shortly thereafter, the group returns with a mended sword, Masamune, to give to Frog, who then rejoins your group as you take the fight to Magus in his island lair. After battling through hordes of enemies in the castle, the group manages to square off against all three of the lieutenants blocking their path, before finally finding themselves it in front of the infamous Magus, the leader of the mystics and enemy to all humans. Or so was thought. Magus was actually seeking to kill Lavos, and by interrupting and beating him down, Lavos was summoned with no way to stop it, ripping the heroes back to the Prehistoric age and Magus to some unknown age. Mistake number three ends and the heroes now have to fight their way out of the Prehistoric era yet again, whilst Lavos is now lying dormant in the middle ages waiting to regain all his power, preparing for the day in the future that he’ll rise from the ground and lay waste. Thankfully, the group ends up managing to defeat this monster before he terrorizes the earth, as the originally history had shown, after quite a few more ordeals and challenges present themselves to the well meaning group of heroes. However, one must wonder, if the group never traveled back in time, would the world have been destroyed in the first place? Did our heroes really save the earth, or just restore a timeline they unknowingly broke? That’s up to you. Previous articleJungleDrums: Ep29 – Destiny 2 DLC and more!